Kate had just come into society, not yet sixteen, the daughter of an earl, when she unknowingly became a courier for the British Secret Service. 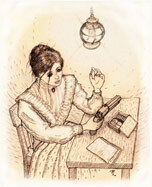 Then, through circumstances and desire, their first Lady clandestine operative, carrying out tasks from 1849 to 1855. Discover a little about those missions of high adventure. 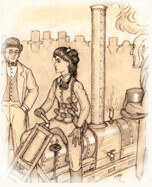 Join Kate as she uses her intellect, charm, and aplomb, and her brother's fantastic inventions, to work her way through each desperate situation. 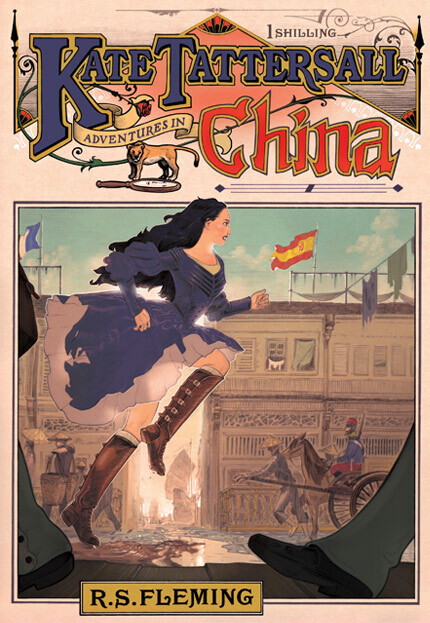 In which the Adventuress, flushed with her early success, takes on a much more perilous tasking that would have been far beyond most ladies, or men, of her day. In which the Adventuress adopts a new disguise, experiences failure, and out of necessity acts most unladylike. Similar to the sensational Penny Dreadfuls of the Victorian era, these adventures contain mature themes and violence. We recommend them as suitable for young adults, and adults of all ages who are young at heart. “May I carry the hamper?” Hugh asked with a proffered hand and a slight bow. “My lady.” The small girl hurried from the front hall, her long frizzled orange hair bouncing wildly. “What face?” Kate swivelled and examined her distorted reflection in the glass of a window. “I was thinking, not doubting,” Kate said sincerely, hoping to calm her step-mother.